Much has been written about ‘Aussie mateship’, that special type of friendship embodied by equality, loyalty and laughter. For Paul Heinicke, Tom Fotheringham, Leigh Underwood and Stuart Bourne, mateship is at the heart of their wine company, Soul Growers. 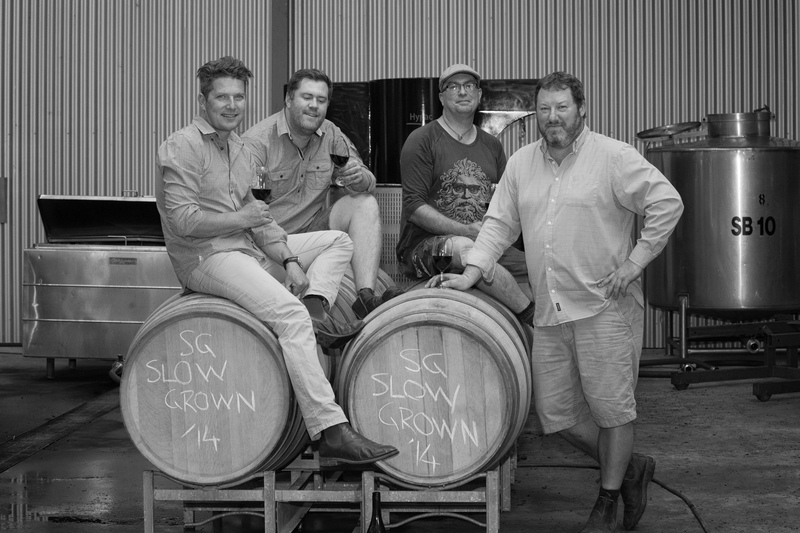 The four mates joined forces and started Soul Growers, chasing their dream of creating a wine brand that reflected their view of the Barossa. “Soul Growers stands for everything that is great about the Barossa – shared wisdom, new ideas, mateship and a passion for making and enjoying great wine,” says Paul. The four worked together in various combinations at a range of South Australian wineries including Penfolds, Barossa Valley Estate, Murray St Vineyards, Chateau Tanunda, Barossa Valley Estate and Hentley Farm. They were convinced their future would one day be an uncomplicated, hands on winery that revolved around the core of the Barossa Valley – the growers. “Grapegrowers are the soul of the Valley,” says Stuart, the winemaker. “The Barossa is a massive tapestry of growers, and the 21 growers who supply the fruit for our wines are the soul of our business. Soul Growers is celebrating the growers behind their wines with a new range of single vineyard wines, priced at $160 a bottle, consisting of the Limb Cabernet, the Kroehn Shiraz, the Gobell Shiraz, the Hampel Shiraz and the Hoffmann Shiraz. “These 2017 wines are in their second vintage. With the first vintage, we made a single barrel of each – 390 bottles. That was so successful, we’ve made two barrels of the 2017 vintage. With the Hoffman Shiraz we hardly got any of it out to the public – one customer basically bought the whole lot,” Tom says. Soul Growers also offers a selection of reds and whites that range from $25 a bottle (The Soul Sister Rose) to $60 (the Defiant Mataro the Cellar Dweller Cabernet Sauvignon and the Resurgence Shiraz Cabernet). Barossa Wine Auction participants have the opportunity to experience the Soul Growers mateship firsthand. Lot 85W is a Soul Growers Shiraz Experience, including a fully hosted and chauffeured half day tour for four people to two of Soul Growers best Shiraz vineyards with Senior Winemaker Stuart Bourne. This will be followed by a slow cooked lunch at the winery with matching wines, fully hosted by the Soul Growers boys. The experience also includes one dozen bottles of Shiraz including the award winning Slow Grown and Single Vineyard wines. In 2018, 10 Soul Growers wines were awarded Halliday Gold Medals scoring 94 to 97 points, including three at 97 points. Each of the four partners has a specific role in the business: Paul is manager/winemaker, Leigh and Tom are marketing and sales, Stuart is senior winemaker, but all four do whatever needs to be done around the winery when vintage hits. “It’s ironic – you start as a young person on the tools, you work your way up to management, now I’m back on the tools. And I’ve never been happier,” Stuart laughs. “The four of us are incredibly different, from our personalities to our skills. But if you put four blokes like us together, the blend of it is much more interesting, cohesive and successful than the four individuals. If you have any ideas for blog posts, or would like to contribute a post, please email: emily@barossa.com for more information. Barossa Grape & Wine Association (BGWA), established in 2008, is the peak wine industry body in Barossa. On behalf of over 550 wine grape growers and 170 wineries, BGWA is the beacon for collaborative investment and collective action, initiating and delivering projects for the benefit of the Barossa wine industry.